…and that’s an Eve Picker. 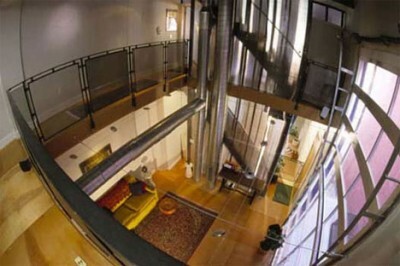 Trained as an architect/urban designer, Eve is probably Pittsburgh’s most innovative, entrepreneurial real estate developer with a reputation for transforming undesirable buildings into loft-oriented residence and office works of art. She’s completed twelve developments from 2 units to 40,000 s.f. via her No Wall Productions real estate development company in Pittsburgh. Pictured is her 4920 Penn residential loft rentals, which has never had a lease vacancy since day one. Dissatisfied with the property management of her developments once they were completed, she founded her own firm We Do Property to maintain the “high level of quality, fun, attitude and style“ of her built residences and offices. She’s also one of the founders of Pop City, an alternative weekly e-magazine and news site for what’s cool in Pittsburgh. The 6-8 development and 6-8 innovation news stories are often archived by neighborhood. A Pittsburgh version of the CoolTown Studios website if you will, as is Buffalo Rising is for Buffalo. – What are the indicators that a neighborhood will attract creatives? Pop City uses TIDE indicators: Talent, innovation, diversity, environment. – What are the key retail businesses needed to jumpstart a neglected neighborhood? Cheap good eats, sidewalk cafes, markets with fresh fruit and meat, food delivery, lifestyle/hip shops, pet day care, dry cleaners, a movie theater and car sharing.